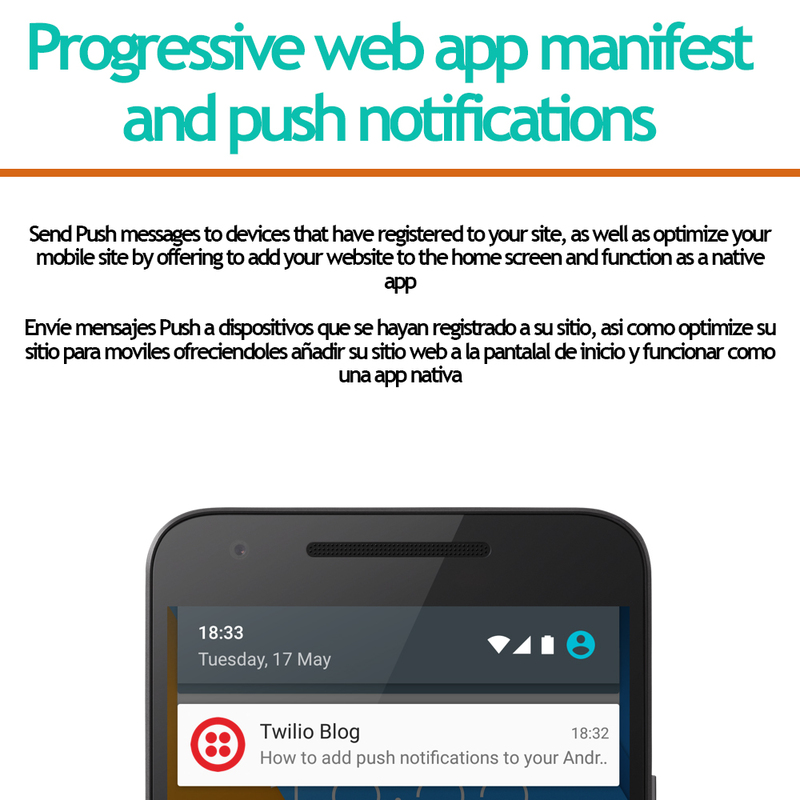 Push Notifications are messages that are sent directly to mobile devices (Smartphones and / or tablets) with iOS, Android, Blackberry and / or Windows Phone operating system. 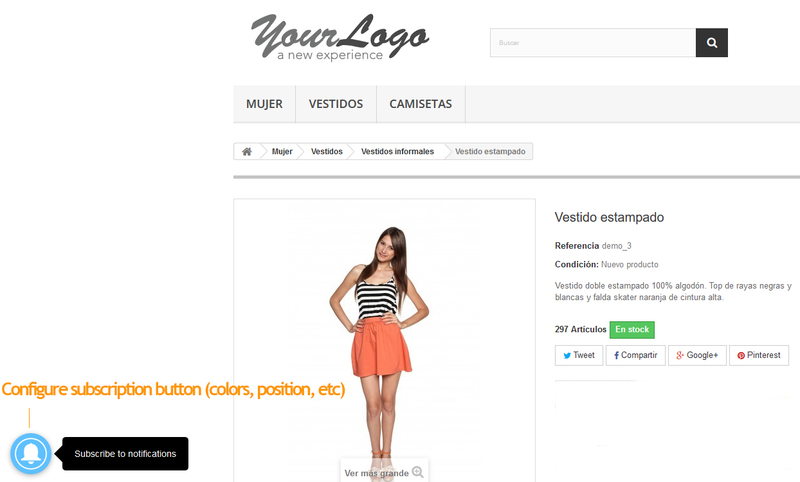 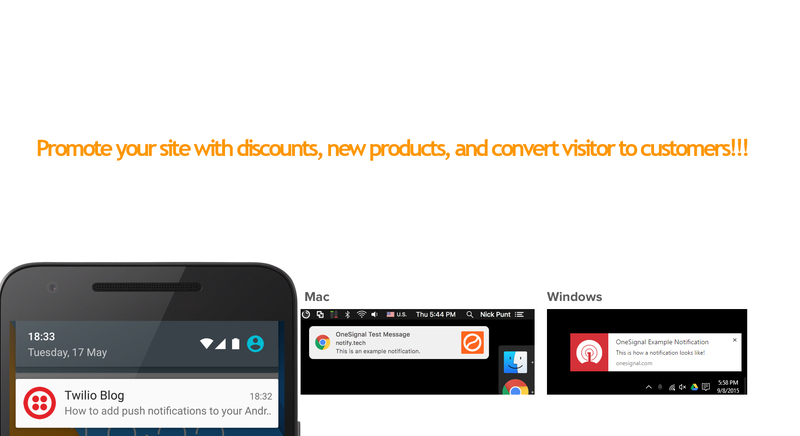 Promote your site by sending news, discounts to your subscribers. 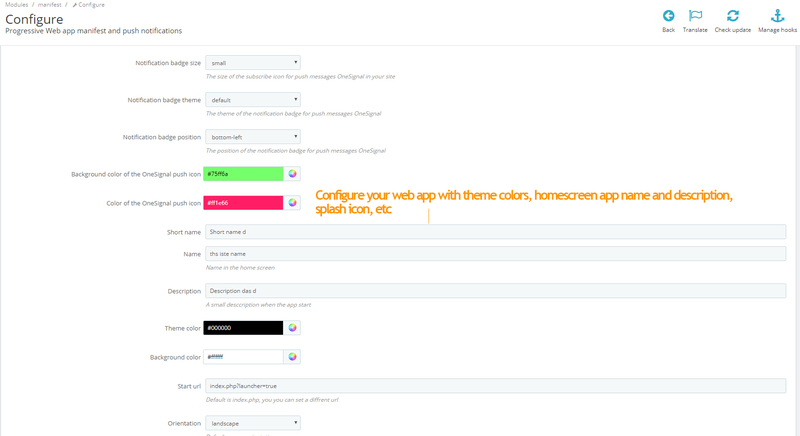 The system will allow you to send a message with a title, a personalized icon for the mobile notification bar, a large image to promote your ad, a destination URL and the date on which the message will be sent. 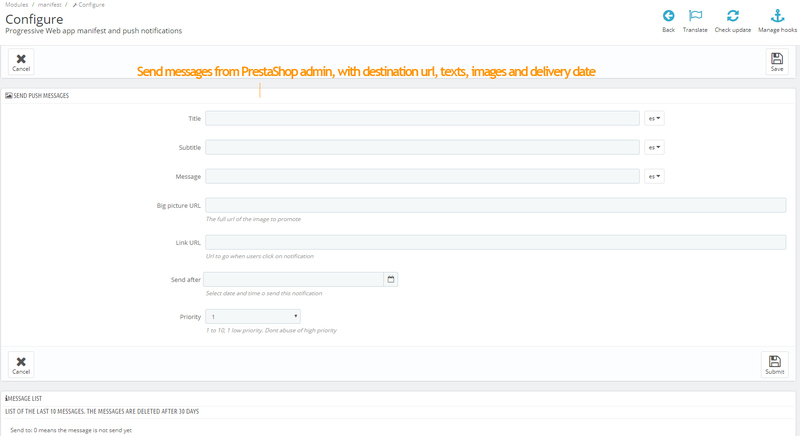 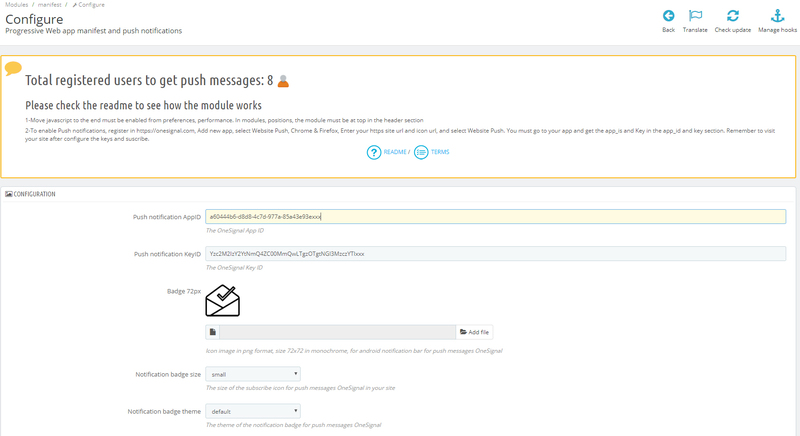 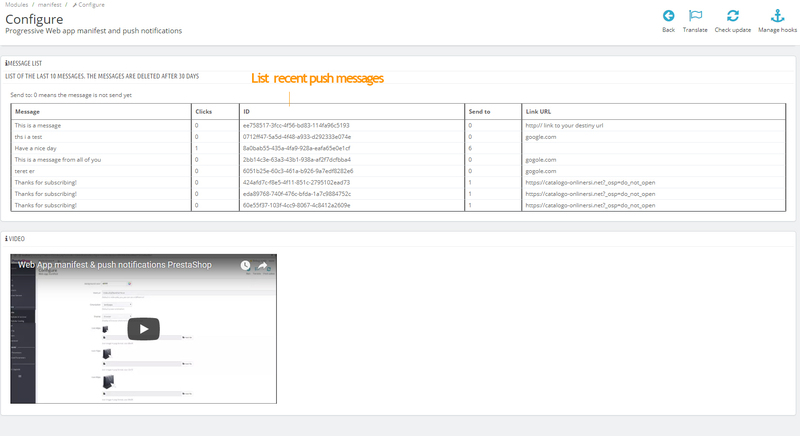 The module will allow you to keep track of the messages sent, as well as the number of clicks received by your messages, all from the administrator of PrestaShop. 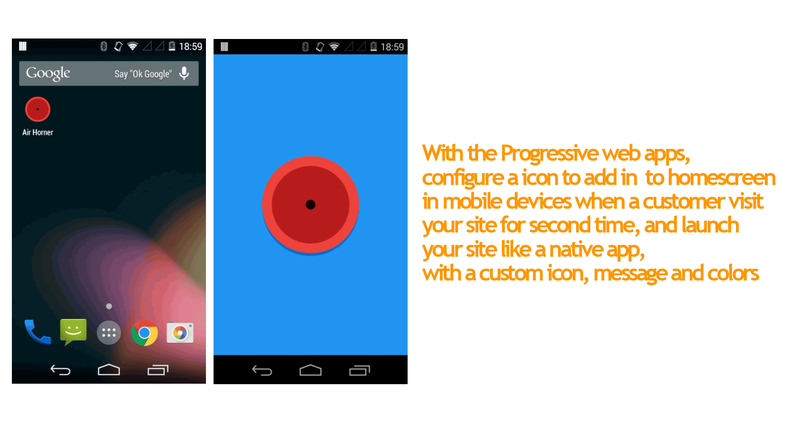 And the module includes PWA (progressive web apps) is also included, which will allow users to visit your site from an android mobile, add the site to the home screen as if it were a native android app, with its own icon, colors and removing the browser search bar.